Discussion in 'The Football Forum' started by bluebell, Mar 20, 2019. Liverpool could be ready to agree a deal to sign Paulo Dybala from Juventus in a matter of weeks, according to reports. Jurgen Klopp is looking to add a new central striking option to his squad this summer, and according to Tutto Mercato the Reds are pushing hard to get a deal for the Argentine agreed. The report claims that Liverpool could make a move to agree a deal in the coming weeks, although at this stage it is unclear how much Juve want for the 25-year-old. 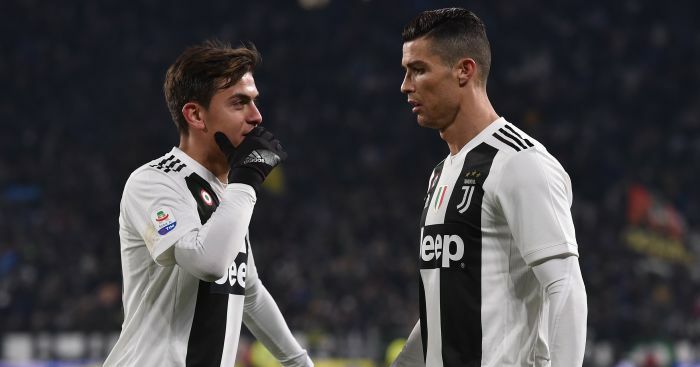 Dybala has scored just nine goals in 35 matches for the Old Lady this season, a drop off from his prolific season in 2017-18 in which he notched 26 times in 46 appearances in all competitions. The Argentina international, who moved to Turin from Palermo in 2015, has previously been rated in the £100million bracket – although that may have dropped given his tougher times in front of goal this campaign. The Reds are expected to sign at least one new attacker this season, with doubts over the futures of both Daniel Sturridge and Divock Origi. Not sure he’s adapt to English football. Not sure he can adapt to the English language ... he certainly isn't adept at it. mark1975, Hansern and juniormember like this. Seems a lazy fucker. Never been a fan tbh. Doubt its true anyway. At his best he's Suarez-like though, running defenders ragged, scoring and creating. At the right price, we should be interested, I think. Kay Age El likes this. Surely this could have gone in the 'Transfer Rumours' thread? He wouldn't be allowed to be lazy if he came to Liverpool. He's a cracking player and would be perfect to rotate into our front 3. Yes please! Can Dybala play as an AM ? There are enough games, and he's good enough that he wouldn't necessarily be playing second fiddle. When in form Bobby is immense, but his form has probably suffered from not having proper competition. Having both players would make both better. He can also play RW and AM. He couldn’t be any worse than your last fav, Keita. My "fav" before that was Salah. Keita has been a disappointment to say the least, but he has all the tools to come good. His addition would make our attack downright dyabalical. Very good player, but the fee will determine if this is a good move or not. If Juventus will drop their asking price a bit then go for it. As unlikely this link seem I am personally a BIG fan of Dybala. Would be a great acquisition for us I don't doubt that.